As a setting, the first world war has been given pretty short thrift when it comes to representation in media these days. 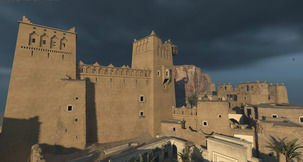 Whether that’s because the conflict wasn’t as geographically expansive as its successor or down to the fact that much of it centred around trench warfare and was thusly deemed to be not quite so ‘glamorous’ are arguable points, but none of that has put off developers M2H and Blackmill from fashioning an absolutely stellar multiplayer shooter out of the era in Verdun. In a similar fashion to how the Red Orchestra games did a bang up job of bringing the World War II theatre of war kicking and screaming into realistic shooter territory, so too does Verdun embrace a similarly pragmatic take on warfare. To simplify things, there are just two game types in Verdun; Rifle Deathmatch and Frontlines. Of the two, Rifle Deathmatch is pretty much exactly what you think it is; a no-frills and largely forgettable fragfest, while Frontlines on the other hand, arguably serves as the heart of Verdun’s substantial appeal. Sure enough, only having two game modes at present entails that Verdun isn’t exactly overflowing in variety when it comes to different gameplay scenarios, lucky though, Frontlines is easily a strong enough offering to make up for the absence of any other game types. 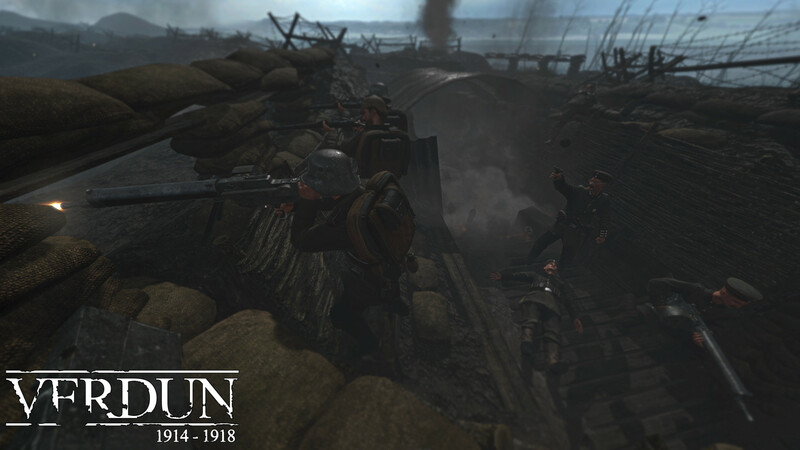 Pitting the two sides of the Entente and the Central Powers against each other in theatres of trench warfare, Frontlines represent a novel spin on the territorial control game type that has been seen in other shooters to date. 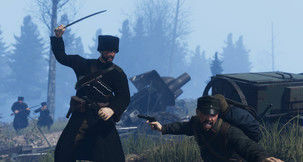 Rather than having players merely capture and defend a selection of small targets, Frontlines tasks players with defending their whole lines of trenches, attacking those that belong to the enemy and preparing to repel counterattacks when they happen. What really defines this mode however, are the swings of momentum that occur throughout. Once the game has decided which side will be attacking, an initial offensive timer kicks off that lasts for five minutes, after this time has expired if the enemy has gained a foothold, the other team is then granted extra minutes to attempt to infiltrate their trench and oust them to even out the odds a bit. After this initial phase is over, each game settles into a rhythm of attack, defense and counterattack, with all three phases requiring watertight planning and tactical execution in order for one side to be victorious. Attackers can extend their offence by establishing footholds in key locations while defenders can turn the tide of the battle by pushing back the enemy from their trenches. Perhaps more than any FPS before it, the onus of teamwork in Verdun is especially strong with good defensive lines requiring a coordinated line of soldiers placed at various vantage points, while a decent attack strategy requires effective application of flanking, counter-sniping and cover tactics. So really, if you’re going into Verdun with a mind to cut about the place, emptying hot lead into the faces of all and sundry with reckless abandon, then you can quite rightly expect to be put into the ground very quickly. And many, many times, too. With instant death that can come from both at the long range of a hidden sniper rifle scope and the intimate, close quarters of a bayonet, being able to think on all your feet at all times is pretty much crucial to the act of self-preservation. Sitting atop Verdun’s teamworking framework is the game’s squad system which provides players with key roles to play in every battle. 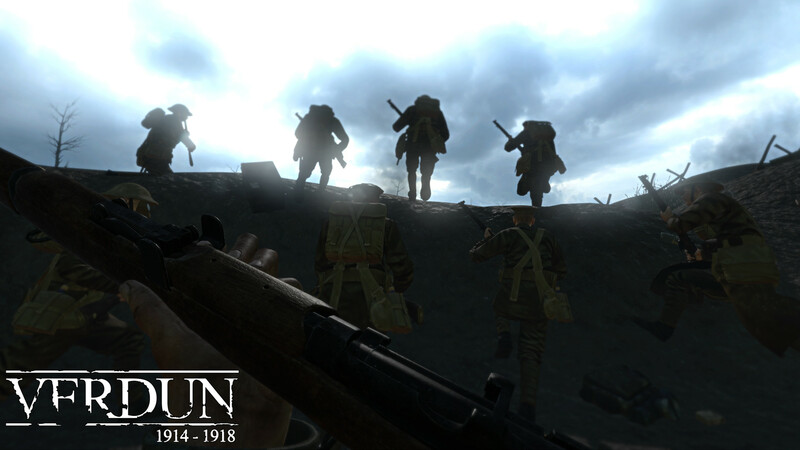 From grenadier to support roles, Verdun functions in a similar way to Turtle Rock Studio’s Evolve whereupon players can find a class type that most suits their playing style and then, over the course of many games, earn experience points to unlock additional abilities and skills for that class. Progression also manifests itself cosmetically too, as more and more sophisticated uniforms can be unlocked giving players the bragging rights and seniority that befits a weary, battle-worn veteran. 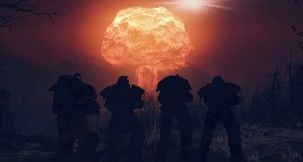 With up to a quartet of different squads comprising a single team, it soon becomes clear that the creative latitude for battle tactics is pleasingly substantial. Indeed, budding battlefield generals can later take on the especially satisfying role of the NCO and dish out orders to press forward, defend certain points on the map or deploy devastating mortar and mustard gas attacks against the enemy. Speaking of mustard gas, the fatal effects of the sulphur mustards can actually be mitigated through swift use of the gas mask that every role comes equipped with, while elsewhere, barbed wire proves to be an ever-present threat that can tangle and kill unsuspecting soldiers who don’t watch their footing during combat. While Verdun’s squad based structure and emphasis on tactics allow it to stand out from its genre stablemates, it’s really the vast number of player made stories and moments that emerge from its peerless open world theatre that make the game so compelling to play. Every yard and every foot of territory gained is hard fought for and really feels like a victory gained in itself. 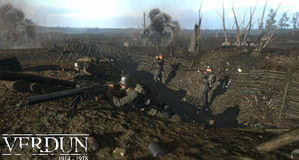 From staying prone in the brush, picking off enemies at range to mad, frenzied rushes over the top as dirt and earth rains down all around while your comrades fall to the ground, Verdun has a seemingly inexhaustible supply of moments like these that over time, coalesce into fond memories that allow the game to engage with the player on a level that very few games, let alone shooters, manage to accommodate. 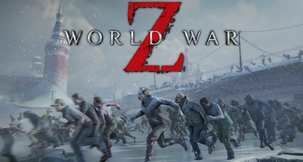 Another reason why Verdun manages to ensnare your attention so fully, is because of the passion that the developers have invested in making the game world feel as true to one of history’s most horrific conflicts as they possibly can. 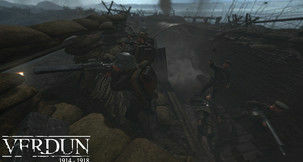 Beginning with the atmospheric WW1-era music of the time that permeates the game’s menus, Verdun frankly staggers with its depiction of the period. From the ramshackle trenchlines that snake around the battered French countryside to smaller, more incidental details such as mud-covered pocketwatches, uniform details and deep, soldier-hiding craters, there arguably hasn’t been a more painstaking recreation of the period quite like this one. Equalling the developers visual homage to the Great War are their aural accomplishments which are just as impressive. Shouted orders in the form of period language vernacular helps cement the multi-national conflict of the time, while the prattling rain of dirt, mud and clay after an explosion and the accurate, meaty pop of firearms all help to support the notion that this is a resplendently interactive peer through the looking glass into one of the key battles of the Great War. Much like the conflict that the game shares its namesake with, Verdun is a ferocious and tense multiplayer shooter the likes of which we haven’t seen in a long time. 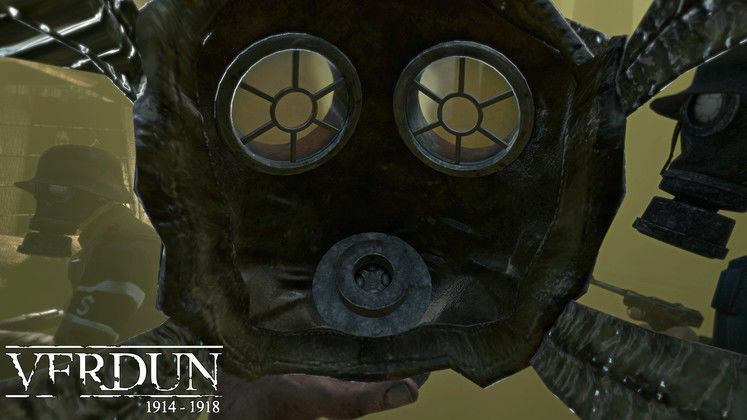 Generously stuffed with player-made emergent moments on the battlefield and an incredible sense of place, Verdun is not just a great take on one of history’s more marginalised wars, it also happens to be a resoundingly solid shooter in its own right too. Setting up a robust line of defenders along a tactical line and stopping an enemy counterattack dead in its tracks. Combat is tense, rewarding and full of great moments. Depiction of the time period is astoundingly detailed. Rifle deathmatch mode feels redundant. 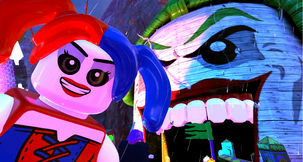 Lack of variety in game modes might not be for everyone.